June 4, 2013 | Welcome to Little Gull Marina! Welcome to June!!! It was a bit of a damp weekend but the sun is shining and the week has started out great. 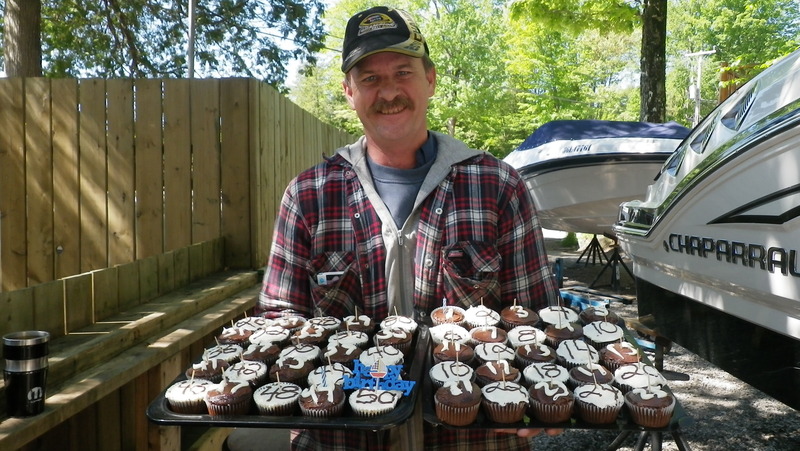 Today is a big day here as we celebrate Cal’s birthday….50 is a big one and as he says “I am over the hill”! Some of the staff made treats and we promise no cupcake crumbs in boats. Our hours for June are 8am-5pm every day. Starting on Friday, June 28th we will be on summer schedule open 8-8 every day.